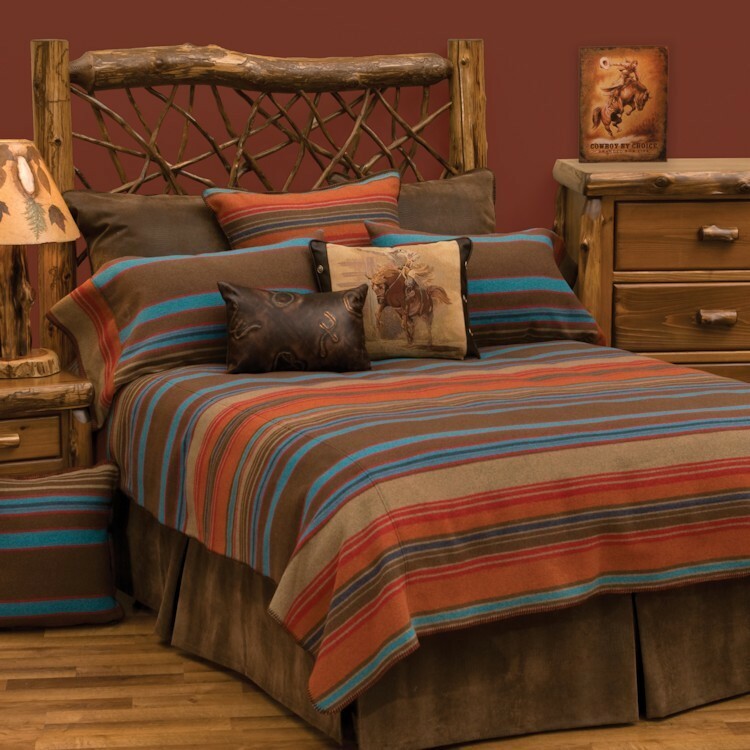 The Tombstone Western Bedding has an old west appeal with saddle blanket stripes in shades of brown, pumpkin, tomato red, turquoise and sand. 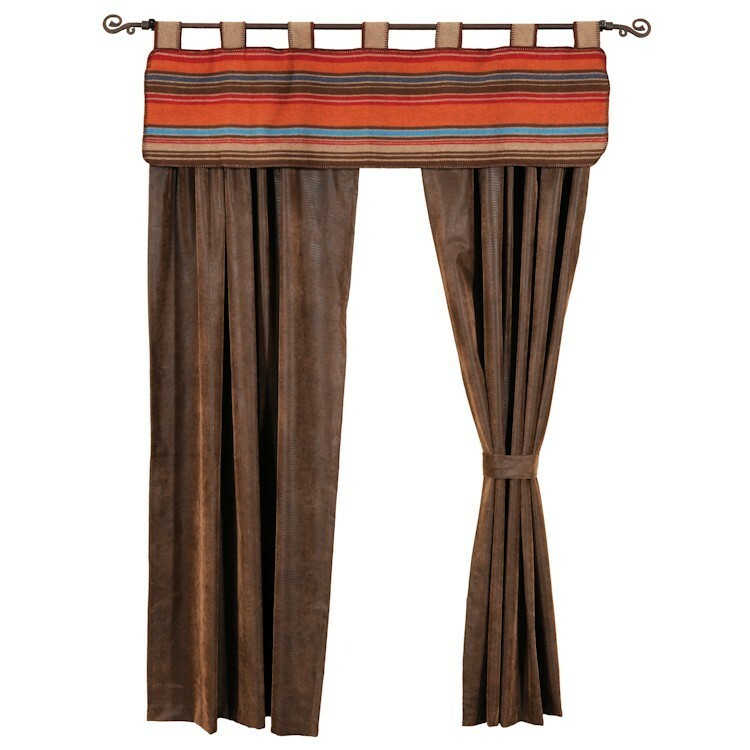 Made from a single layer of fabric with a decorative blanket-stitch edging. 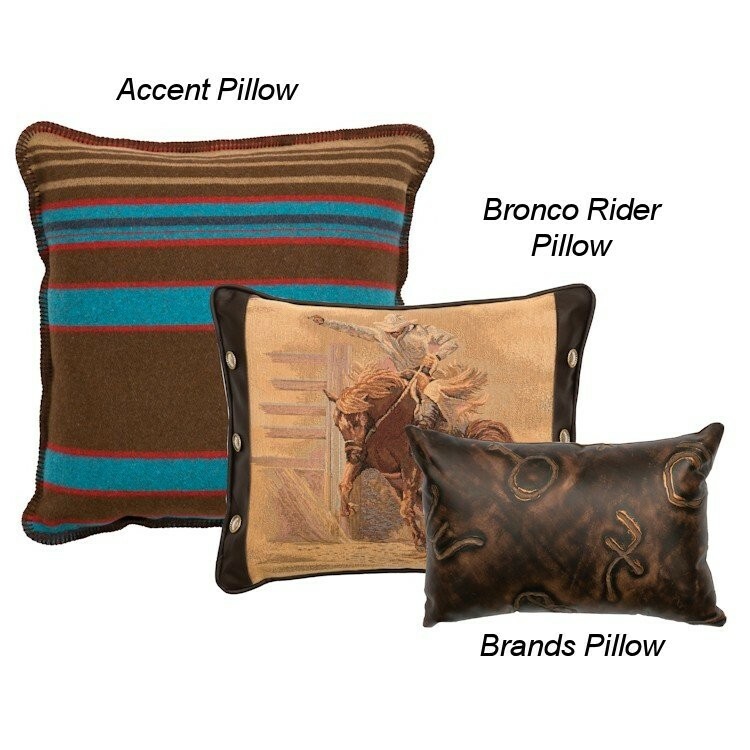 The pillow shams echo the coverlet fabric in a pillow case design and the tailored faux leather bedskirt with embossed alligator design adds depth and texture to this ensemble. Deluxe sets also include three euro shams (2 faux alligator leather and 1 that echos the stripe pattern of the coverlet) complete this western bedding ensemble.